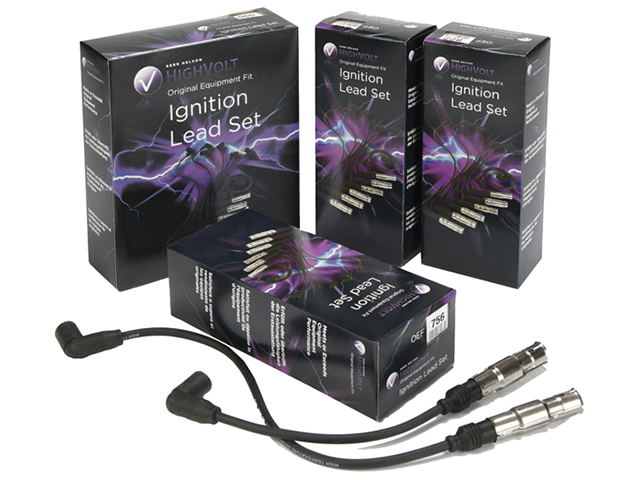 The High Volt range of Original Equipment Fit ignition lead sets contains over 875 references, making it the most comprehensive range of OE fit sets available. Designed to meet or exceed OE performance standards, High Volt leads are manufactured in the UK facility in Nottingham. The majority of sets are manufactured using 7mm or 8mm full silicone and copper core cable, however the range also includes 5mm cable O.E sets to cover the Japanese and Korean vehicle parc. High Volt Leads - fit them and forget them.